Located 60 km southwest of Hue, Vietnam, A Luoi is a scenic mountainous district nestled between the A Shau Valley and the Laotian border. 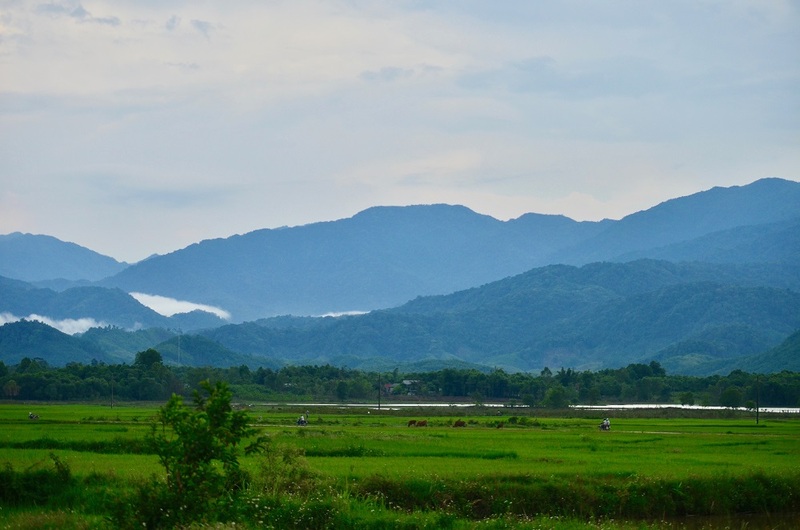 For many years, this off-the-beaten-track destination has been renowned for its cultural richness with different hill tribe minorities, lush mountain ranges, rice fields, and breathtaking panoramic views. Perched in the hills 7 km away from the main town, Vel (village) A Hua is home to 280 Ta-oi and Pa-Co people, two Mon-Khmer ethnic groups based mainly in mountainous areas of Vietnam’s central provinces. 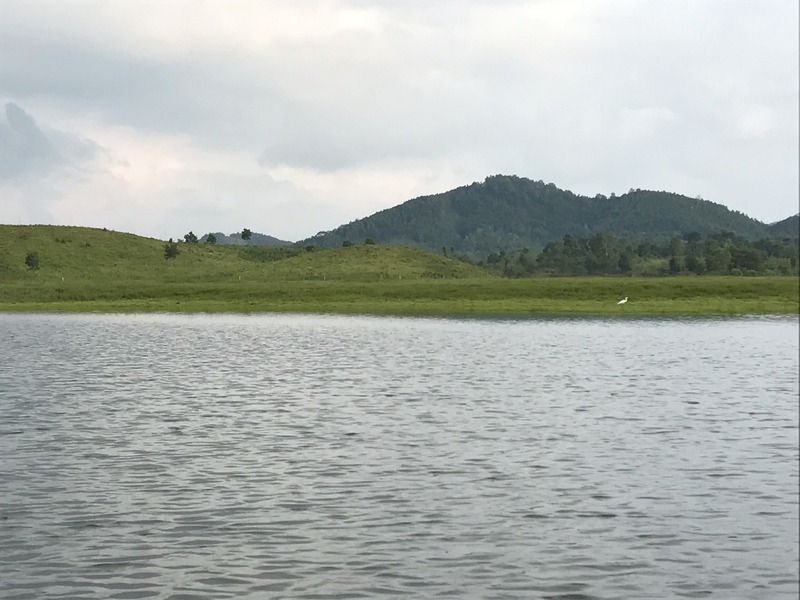 Join us in this journey to discover the marvelous beauty of nature and experience the authentic simple life and rich cultural traditions of A Hua. * For best preparation, please reserve at least 4 days in advance for this program. 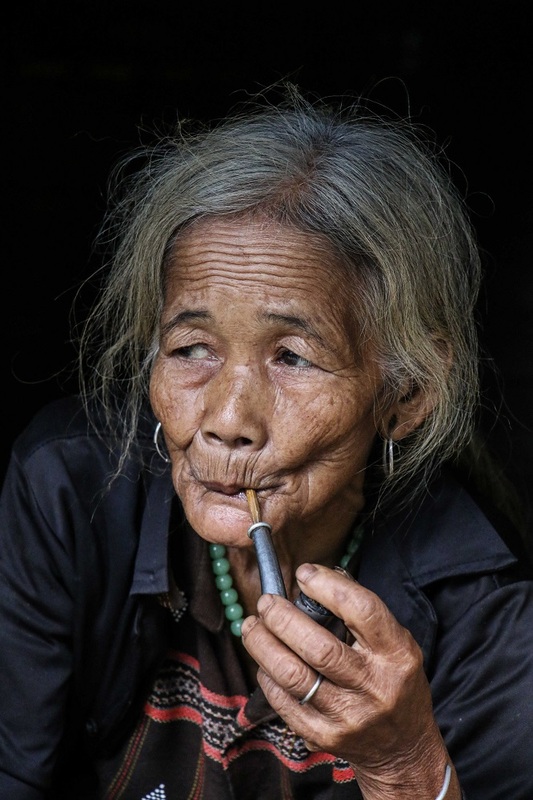 Get to know the culture of Ta-Oi people, one of Vietnam's 54 ethnic groups. 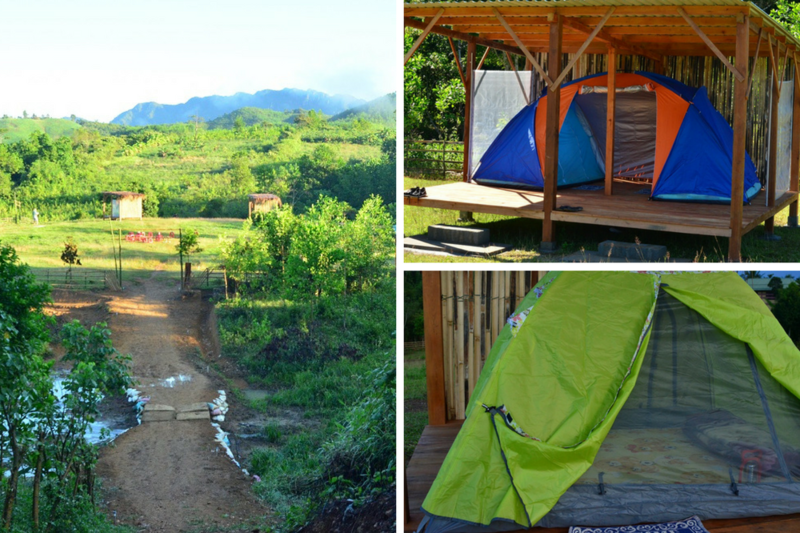 Emerge yourself in the beautiful landscape of a mountainous village with an overnight stay in a tent set up in the wild. Experience trekking in the primary forest and listen to the song of nature. 7.30 a.m. Leave the hotel for A Hua. Enjoy the beautiful landscape on the way to A Hua. Breakfast (Banh Mi or Vietnamese sandwich) is served during a break at the Lang Co Lagoon after crossing through the Hai Van Tunnel. Stop at Hong Ha Village for lunch and have a short stroll in this scenic valley village. 1.30 p.m. Arrive at A Hua Village and receive a warm welcome from the locals. - Listen to the story of A Hua Village from Mr. Nia, the Head of the village. 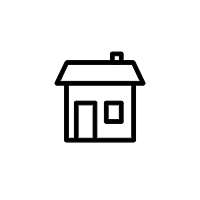 - Check in and get some rest before exploring A Hua Village. - Enjoy a walking tour around the village - Get to know traditional Rong House, an important element in spiritual life of Ta Oi people - Learn the origin of Ta Oi from the oldest Lao man in the village. - Visit Zeng weaving and rattan weaving artisans 5.30 p.m. Watch the beautiful mountain sunset in the precious moment of quietness. Enjoy Ta Oi dinner. 8.00 p.m. Campfire time (and art performance: add-on service) What could possibly be better than gathering around the bonfire upon the hill? If you're lucky enough, look up the sky to be wowed by the bright Milky Way you could never see in the city. 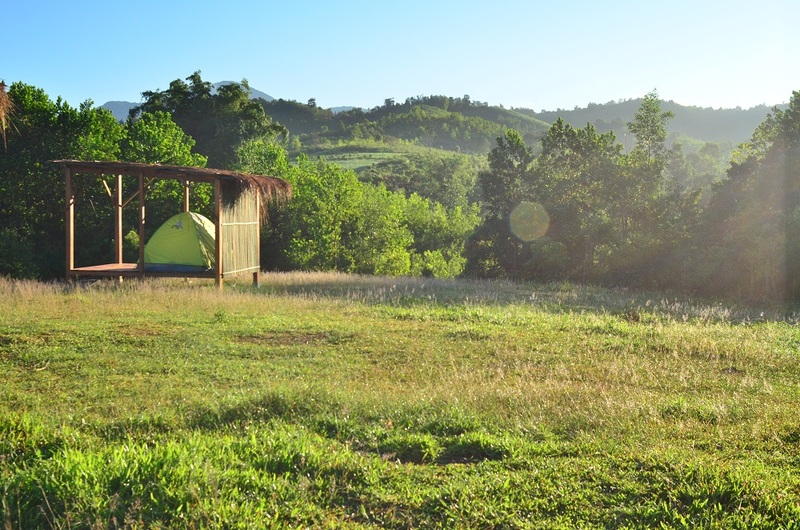 Spend the night on our tented platform to know how it feels to be surrounded by the nature. 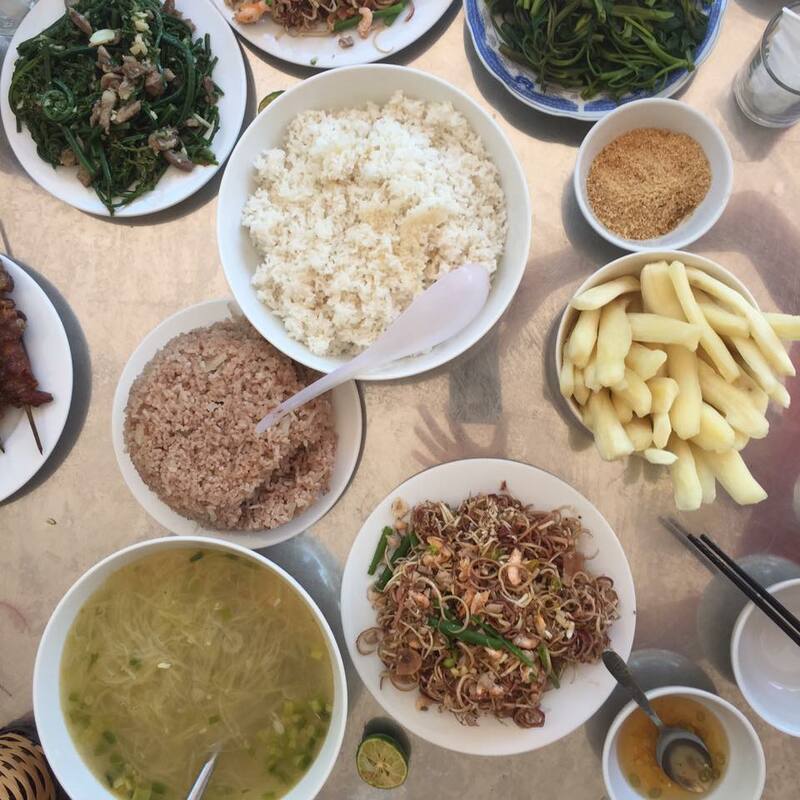 02.00pm - Cylcing around the village and surrounding areas After the lunch, you'll have some time for free exploration with bicycle in neighboring villages and areas. Engage with the local people and take as many pictures as you can, we hope you capture the beauty of this land and its people and bring it back with you in your heart. After an afternoon of cycling, you can rest and relax around the campsite. 5.30 p.m - Dinner by the campfire In the evening you can enjoy a barbecue dinner with local specialties around the campfire. Eat and enjoy the sunset over the surrounding countryside for the perfect end to your day of adventure. 8.00 a.m. Have breakfast. 9.00 a.m - Boat trip along the river After breakfast, get ready for a picturesque boat trip along a nearby river (also a hydropower reservoir). You will have the chance to snap some amazing pictures and explore the surrounding natural beauty on this two hour excursion. 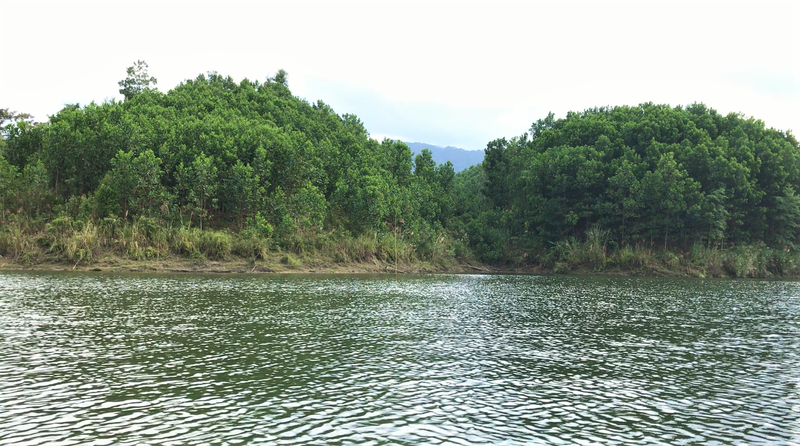 The tour guide will provide more information about the area and how the surrounding villagers make use of the reservoir. Head back to the village for lunch and to pack up your things. Economic development bears the risk of fading Ta-Oi culture and tradition. Exposure to modern society could exert a reverse influence on indigenous customs and cultures. 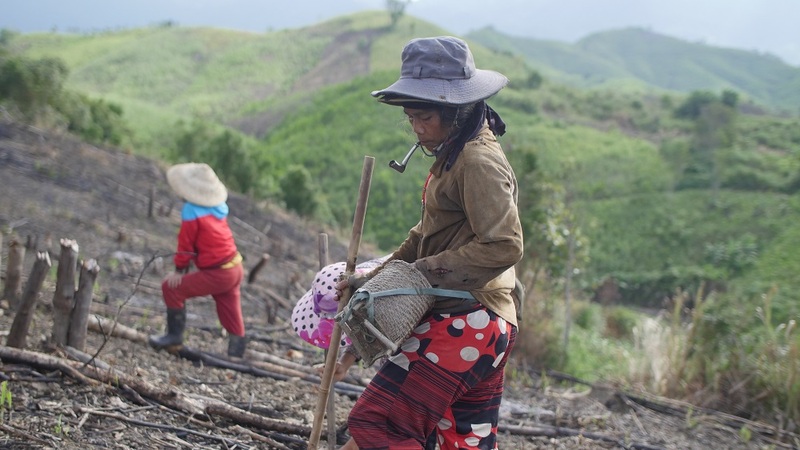 Many ethnic groups are being assimilated into Vietnamese Kinh society, including Ta-Oi. 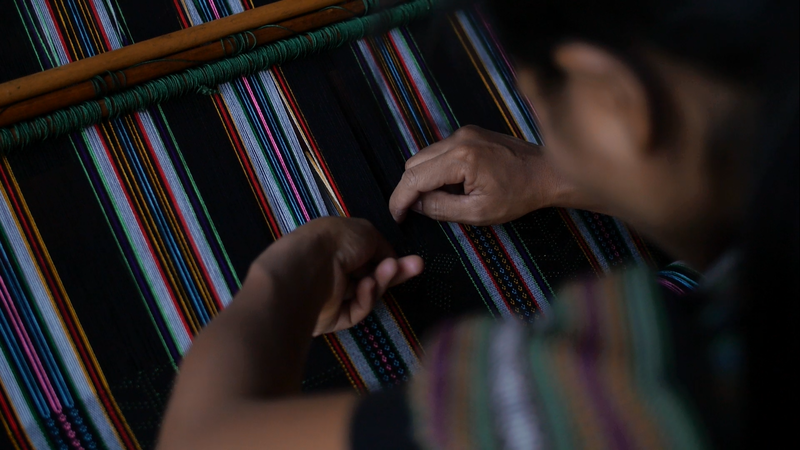 Although the local government is trying to conserve these traditional customs through cultural and linguistic trainings and cultural preservation programs; due to daily financial concerns, this threat is overlooked by the majority of younger Ta-Oi. This project is supported by the local authorities and is expected to retain the younger generation through giving perspective and jobs and encourage pride in this unique culture, rather than neglecting it.